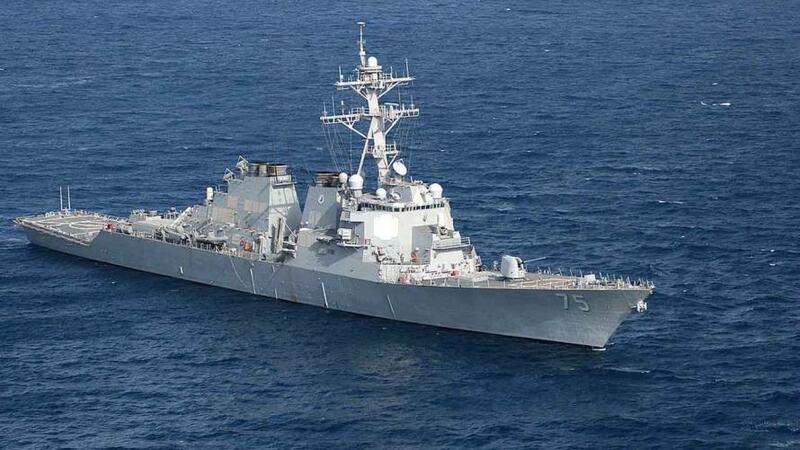 The destroyer, which left the Cypriot port of Larnaka and was headed for the Syrian shore, was reportedly buzzed by Russian warplanes which circled above the US warship four times. "A group of ships of the US Navy has appeared at a distance of 150 miles from the Tartus region. It is common in international practice potential participants of events in the area should be notified accordingly in advance. We have not been notified, although we had legally ratified the agreement on two bases in Tartus and Khmeymim," the official said. "Moreover, US President Donald Trump said that he would think about the missile attack on Syria despite any resolutions at the UN Security Council. All this smells of something are outside the framework of universally recognised international norms," Shamanov added, suggesting that Russia is preparing for a Syria attack. More troubling is that also on Monday, Russia's Ambassador to the UN Vasily Nebenzia said that the Americans would have to deal with "serious consequences" should they attack Syria. "We have repeatedly warned the American side about highly negative consequences that may follow if they apply weapons against the legitimate Syrian government, and especially if the use of these weapons - God forbid, affects our military men, who legally stay in Syria," the Russian Ambassador to the UN said at a meeting of the UN Security Council. However, after yesterday news that the office of Trump's personal lawyer was raided by the FBI and that attorney-client privilege between Trump and Cohen may be compromised, it now appears that in a desperate diversion attempt from his domestic troubles, a military response against Syria by Trump is now inevitable, especially following today's news that the president is canceling his trip to Peru's Summit of the Americas in order to "oversee" the Syria Military Response.